The days are getting shorter and the sun is setting earlier, but holiday lights are brightening the D.C. area as winter settles in. Between the beginning of Hannukah, ZooLights, the Holiday Boat Parade and endless markets, it's a good weekend to feel the spirit of the holidays. 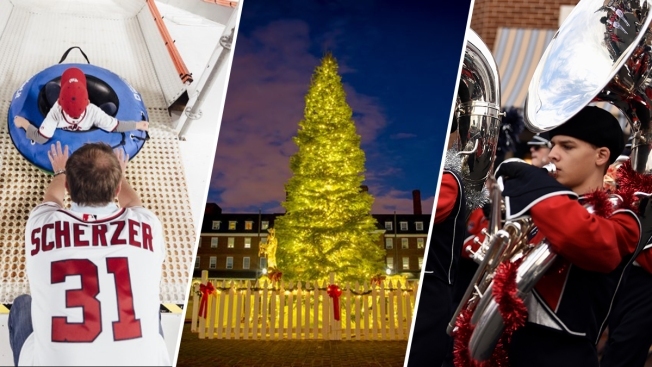 — Free and cheap things to do in Maryland, Virginia and D.C.
Alexandria: Activities start at 2 p.m.; Boat Parade of Lights starts at 5:30 p.m. The waterfront holiday tradition is back! Whether you're on The Wharf or the Alexandria waterfront, enjoy a parade of decked-out boats floating through the Potomac. In Alexandria, you can view the boat parade from Founders Park, Alexandria City Marina, Waterfront Park, Shipyard/Harborside Park and Ford's Landing Park. Festivities and fun activities begin earlier in the day. Stop by Torpedo Factory Art Center between 2 p.m. and 8 p.m. to meet Santa and catch live music. Dolci Gelati is rolling out a hot chocolate bar from 4 p.m. to 7 p.m. If you fancy a drink, Vola's Dockside Grill and Port City Brewing will both have pop-ups from 4 p.m. to 8 p.m.
On The Wharf, activities including a waterfront beer garden, s'mores and music start at 6 p.m. The parade kicks off at 7 p.m. and fireworks go off at 8 p.m.
Georgetown's annual holiday light display GLOW! is up and running. Miracle on Seventh Street, aka the Christmas bar, has reopened for the season. This year, the Shaw pop-up bar celebrates D.C.'s famous pandas and has a room designed to look like the inside of a New Year's Eve ball. It's free to enter. Specialty cocktails cost about $12. Miracle on Seventh Street, aka the Christmas bar, has reopened for the season. This year, the Shaw pop-up bar celebrates D.C.'s famous pandas and has a room designed to look like the inside of a New Year's Eve ball. Go here to see photos of the bar. Cooking demos, holiday movies, crafts and a crash course on the history of chocolate are sure to please anyone in the holiday mood this weekend. The event is free, except for film screenings. National Harbor's wintertime wonderland is taking inspiration from Charlie Brown this year. Bundle up and check out colorful ice sculptures, ice slides, walk-through attractions and a full Nativity scene. Tickets are discounted when you buy in advance online. On Value Days, tickets start at $32 for adults. On General Admission days, including most Saturdays and Sundays, tickets are $38 for those over 12 and $31 for kids over 4 years old. Stunning ice sculptures will transform into Charlie Brown and the gang at the Gaylord National Resort in National Harbor, Maryland, this holiday season. This year's theme, "A Charlie Brown Christmas," will feature scenes from the iconic Christmas special. ICE! will be open Nov. 16 through Jan. 1, 2019. 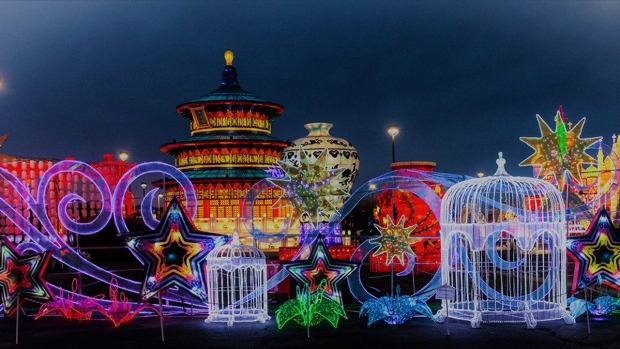 The One Loudon Center went all-out this year, bringing in more than a million lights building a Chinese-style pagoda, replicas of the Statue of Liberty and the Eiffel Tower, and more. You'll find 77 different installations, as well as performances each night from acrobats, dancers and musicians, food available for purchase, and hands-on activities including calligraphy, portrait sketching and rice carving for all ages. 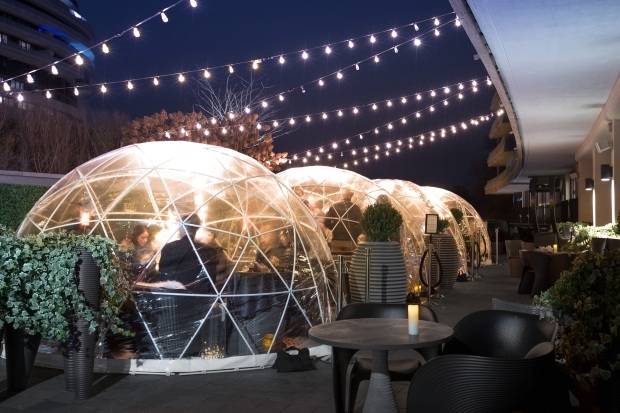 Reserve a cozy igloo on the rooftop of the hotel to hang outside with your friends over food and drink. Many rinks across the area are letting skaters lace up. Here's a full list. 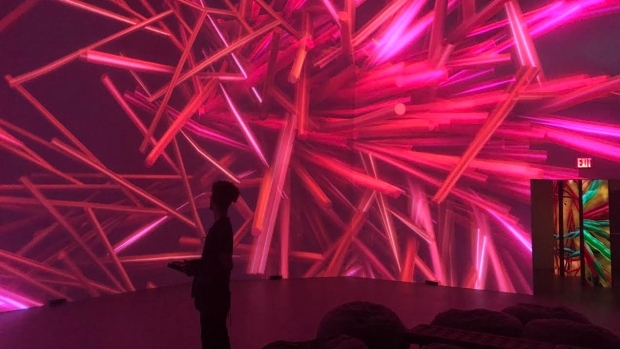 The interactive art space's newest exhibit takes you outside. Timed tickets cost $15 for adults.